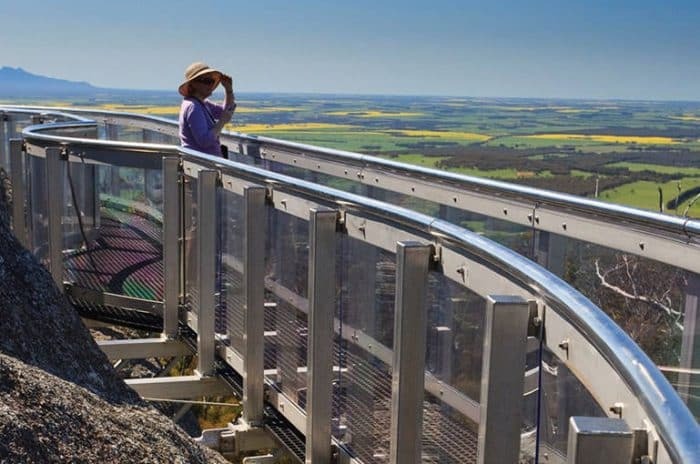 The Granite Skywalk is a suspended walkway that spirals around the huge granite outcrop of Castle Rock to the summit. 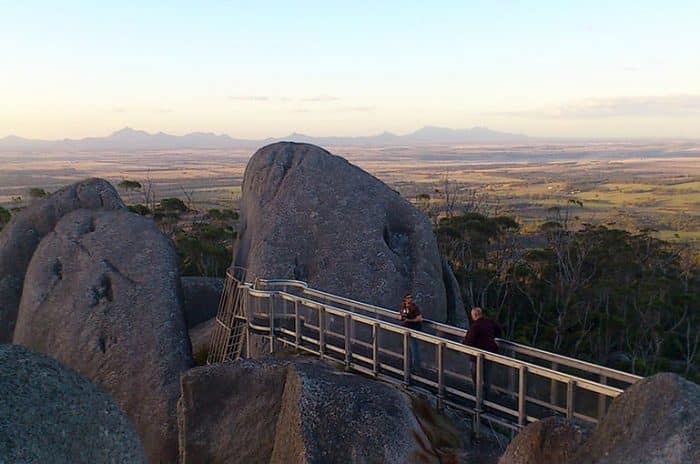 There are upper and lower lookouts – with the upper lookout perching over the side of the rock, accessible by scrambling over rocks and climbing a ladder. 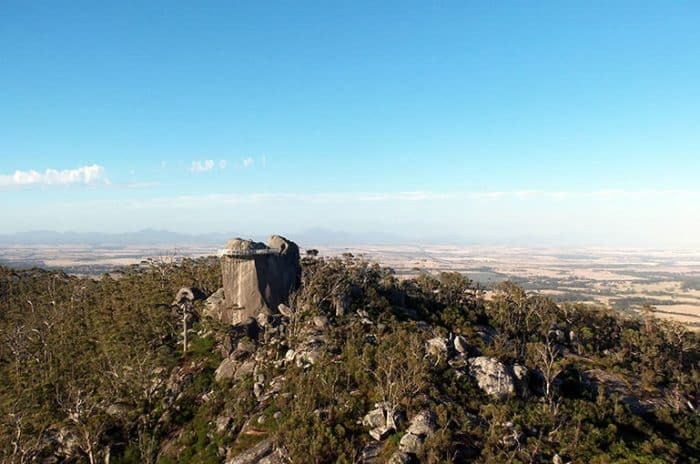 There are spectacular views of the park and across undulating farmland to Albany on the south coast, with views to Mt Gardner and Mt Manypeaks to the south-east. 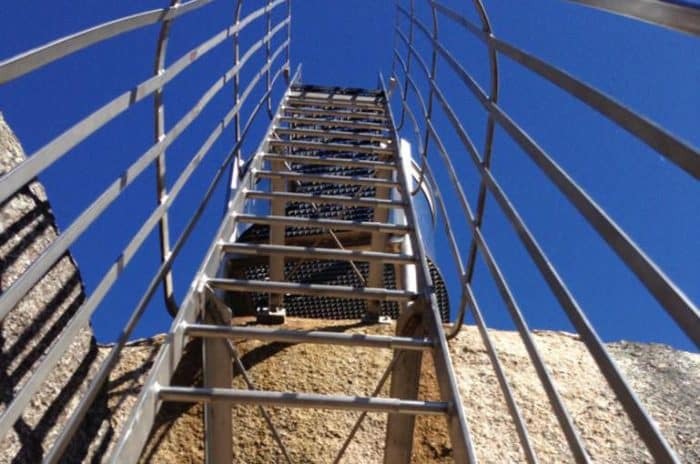 This remote engineering marvel provides safe access and simulates a rock climbing perspective when suspended on ropes.